Have you ever seen a bat? What did it look like? What did it do? Why do you think scientists study the way bats land? Do you think it's a good idea for engineers to use what scientists learn to develop new technologies? Why or why not? What is inertia? How would tucking in one wing and keeping the other extended shift a bat's center of gravity and allow it to manipulate its body's inertia? According to the article, engineers could use what scientists have learned about how bats land to design better drones. Think of another animal. What unique abilities does it have? What could engineers design or improve if scientists figured out how the animal does these things? Instruct students to make a list of things they know about bats. If possible, give them time to conduct research to find more facts to add to their list. Then have students make a list of the ways bats are portrayed in relation to Halloween. Compare and contrast the two lists. Discuss reasons why bats may have become a symbol for this holiday. Challenge students to identify ways in which that portrayal is misleading. As a class, identify other items that have become symbols for Halloween or the Day of the Dead. Discuss reasons why each item may have become a symbol for these holidays. Encourage students to select one of these items or another object that could be linked to these days. Instruct them to draw that object in a way that symbolizes these holidays. Invite students to share their symbols with the class. Discuss reasons why these symbols are an appropriate representation of Halloween or the Day of the Dead. Give each student a piece of plain white paper. Have each student draw a picture of a bat. Tell them to draw it in a way that reminds them of Halloween or the Day of the Dead. Encourage students to explain why their drawing reminds them of these holidays. Give each student a piece of plain white paper. Have each student select an object other than bats that is commonly associated with Halloween or the Day of the Dead. Tell students to draw their objects in a way that reminds them of these holidays. Compare, contrast and then discuss the results. Give each student a piece of plain white paper. Have each student select an object related to Halloween or the Day of the Dead. Instruct students to draw that object in a way that symbolizes these holidays. Challenge them to explain how and why their new symbol is an appropriate representation for these days. Give each student a piece of plain white paper. Have each student select an everyday object not commonly associated with Halloween or the Day of the Dead. Instruct students to draw that object in a way that symbolizes these holidays. Challenge them to explain how and why their new symbol is an appropriate representation for these days. Read this Smithsonian Magazine article to discover how bats turn echolocation signals into a 3-D image of moving prey. 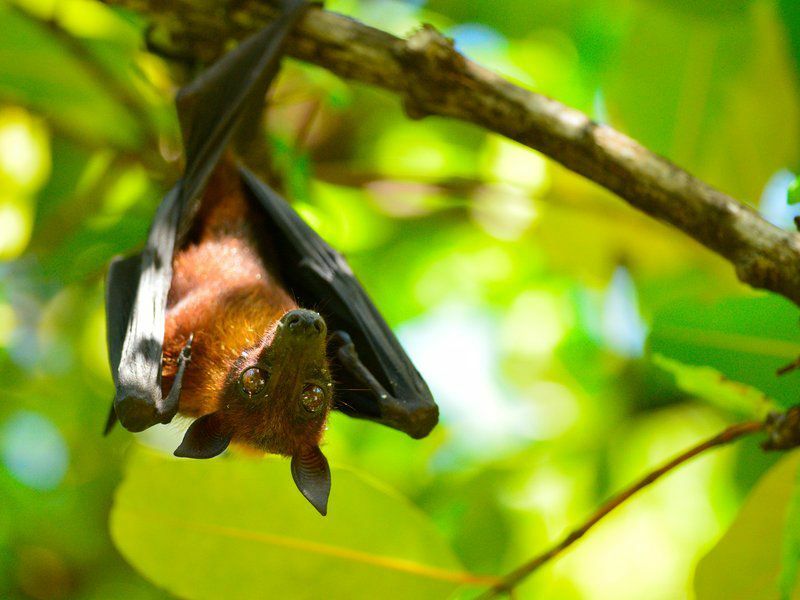 Read this Smithsonian article to learn about the spectral bat (Vampyrum spectrum), the world’s largest carnivorous bat, which feeds on small birds, amphibians, reptiles and mammals—including other bats! Dare to enter this exhibit from the Smithsonian Latino Center’s Theater of the Dead! This site contains fact sheets, lesson plans, a glossary and other resources about the Day of the Dead for students in grades K-8. Watch videos from this Smithsonian Channel program to learn about white-nose syndrome, the disease that is wiping out North America’s bats by the millions. In this teacher-created lesson, high school students hold a spooky Halloween funeral to lay to rest spelling and grammatical errors in their own writing. This playlist from the Smithsonian Folkways collections combines stories and music that incorporate the spooky elements of Halloween such as ghosts, skeletons, witches and monsters.